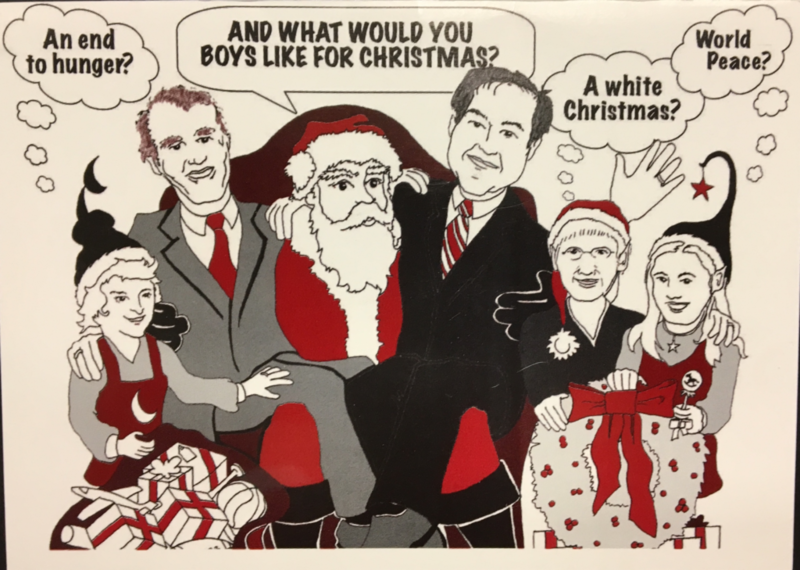 Welcome to the O’Hara Lindsay Christmas Cards Archive! 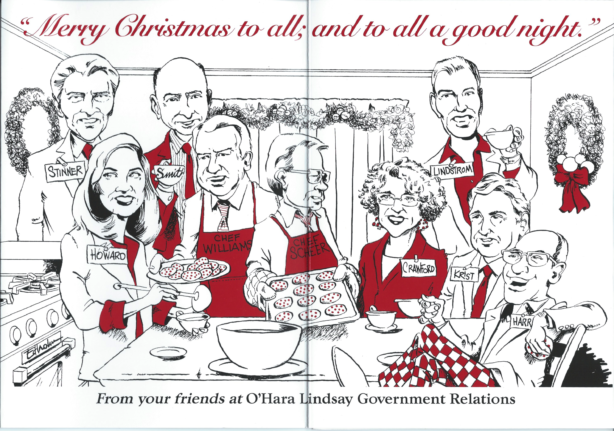 For a number of years, our team has wished our stakeholders a happy holiday season in a decidedly O’Hara Lindsay way. 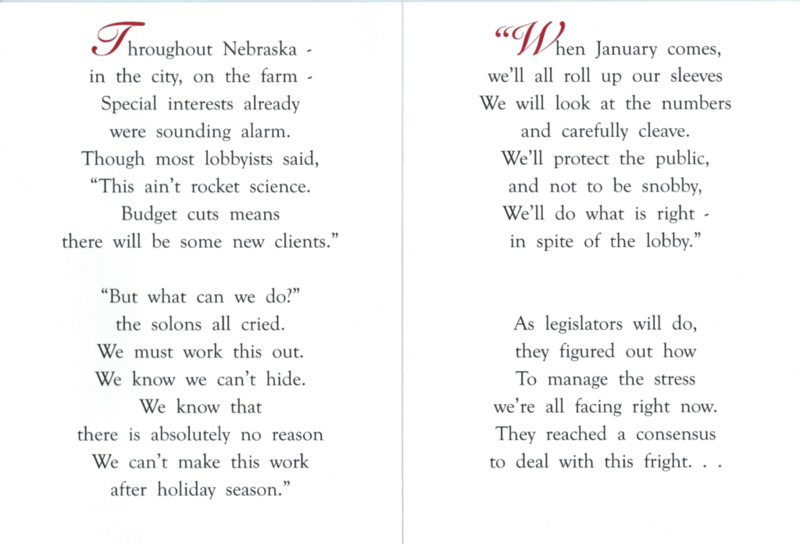 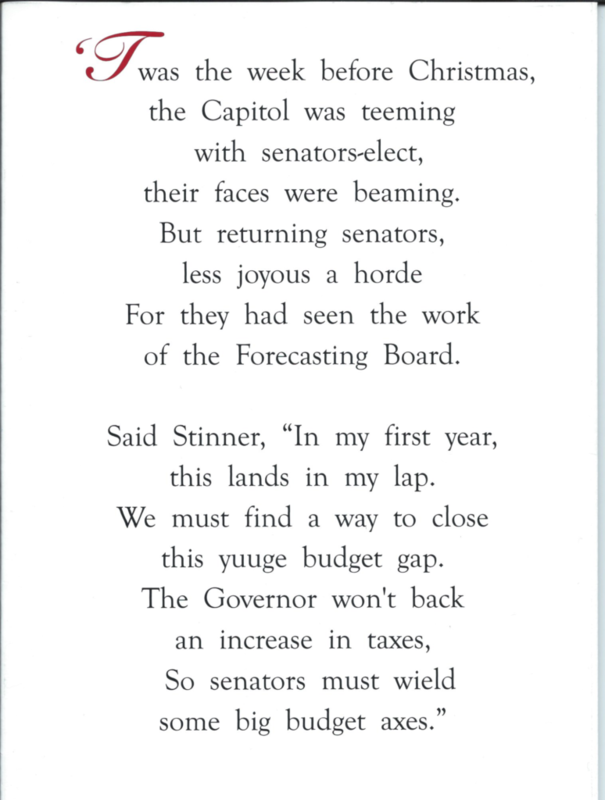 We ponder and ponder and finally decide on a concept that pokes fun at a Nebraska political issue of day. 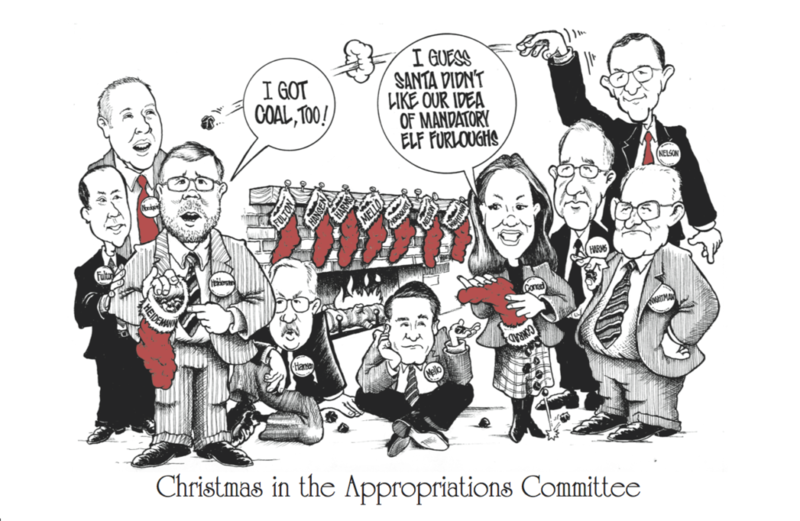 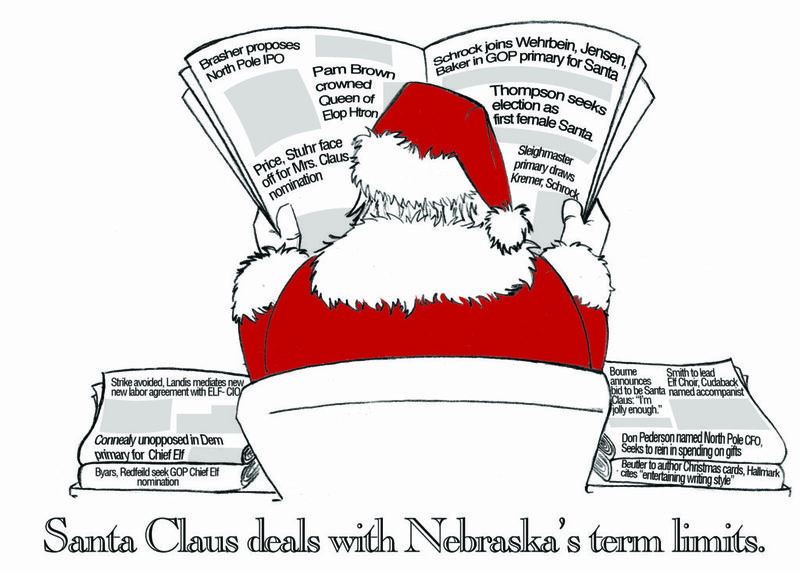 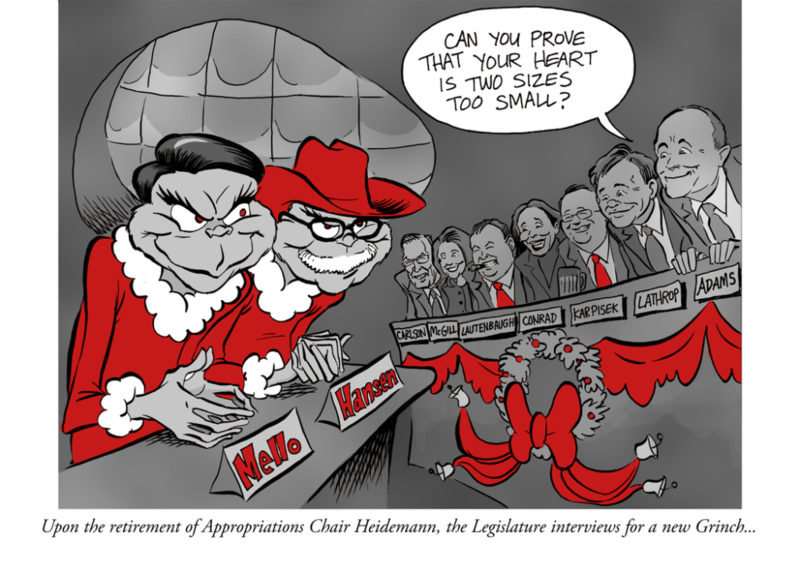 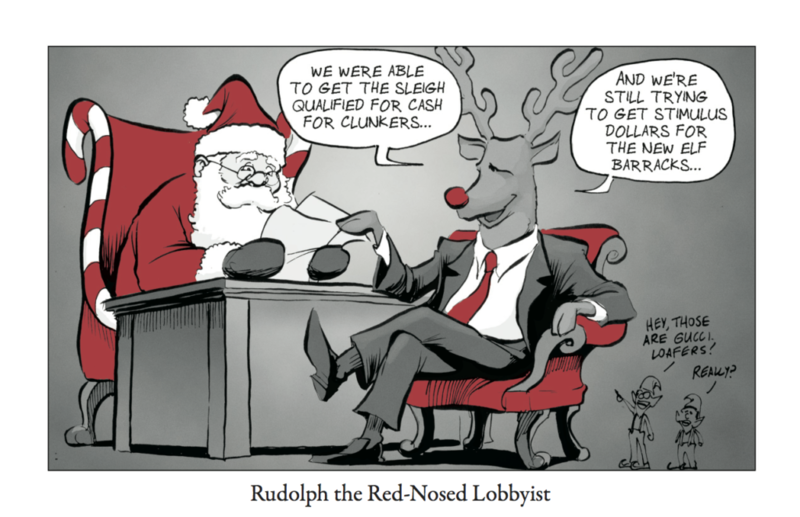 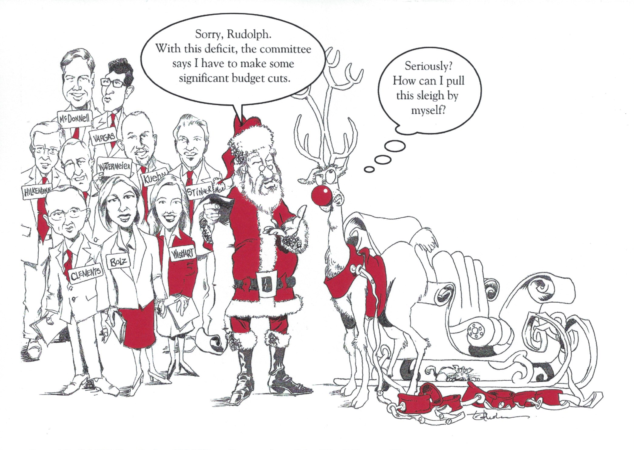 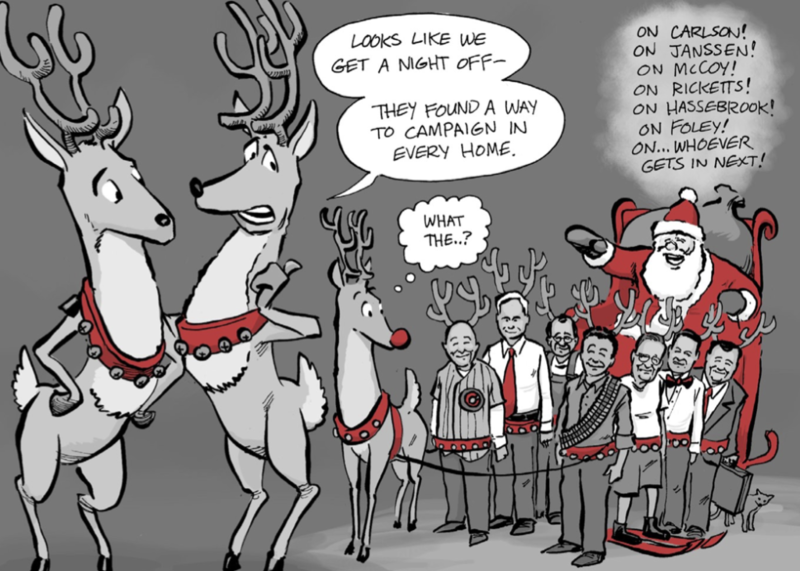 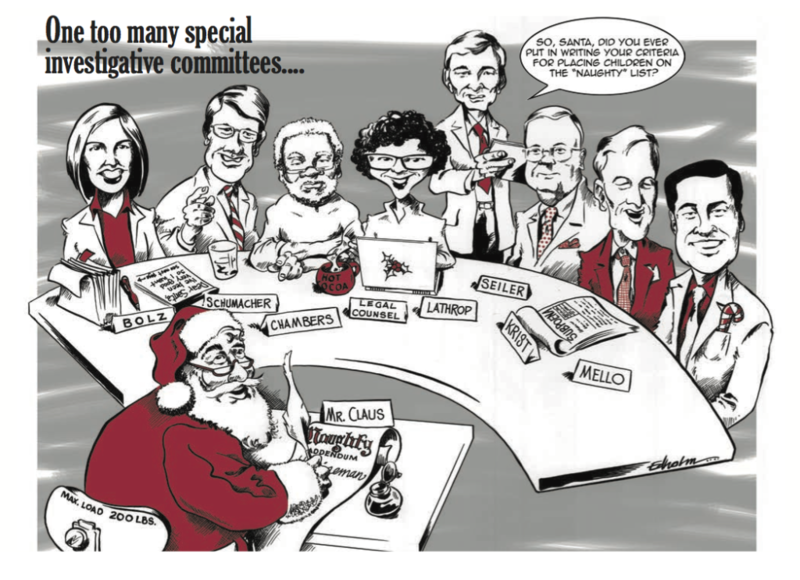 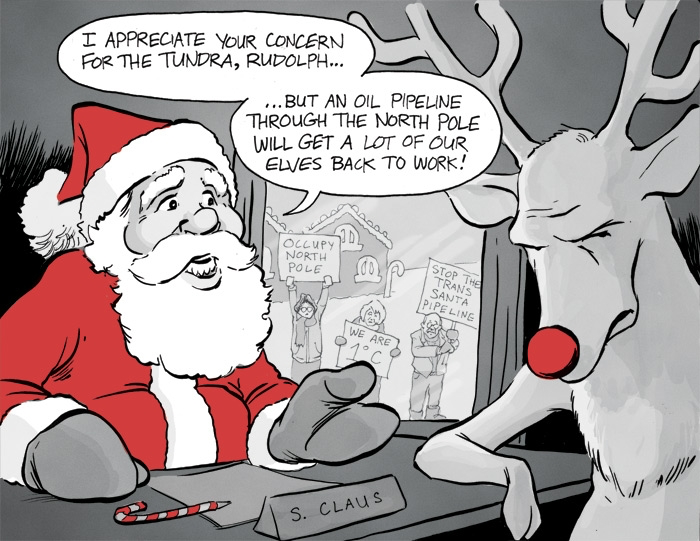 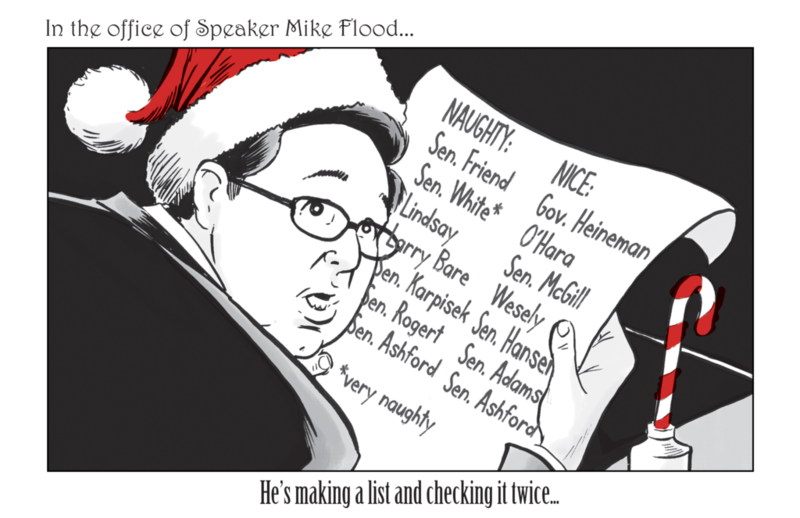 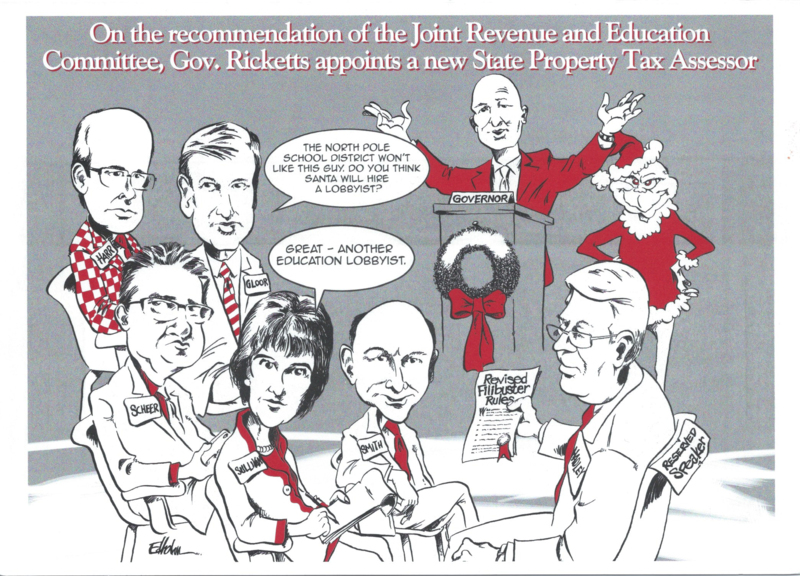 Then we work closely with an artist from our great state and present to you a political cartoon-style Christmas Card. 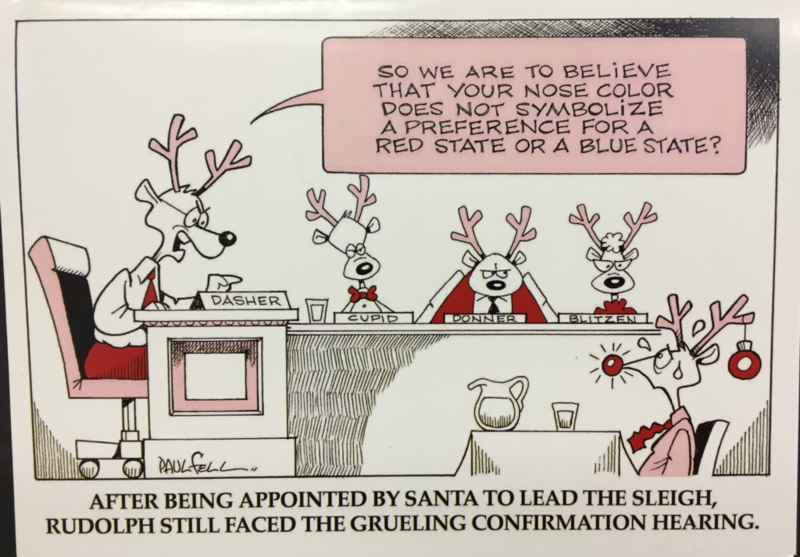 Take a minute and walk through the years with us – each card a memory of the poignant days of our past. 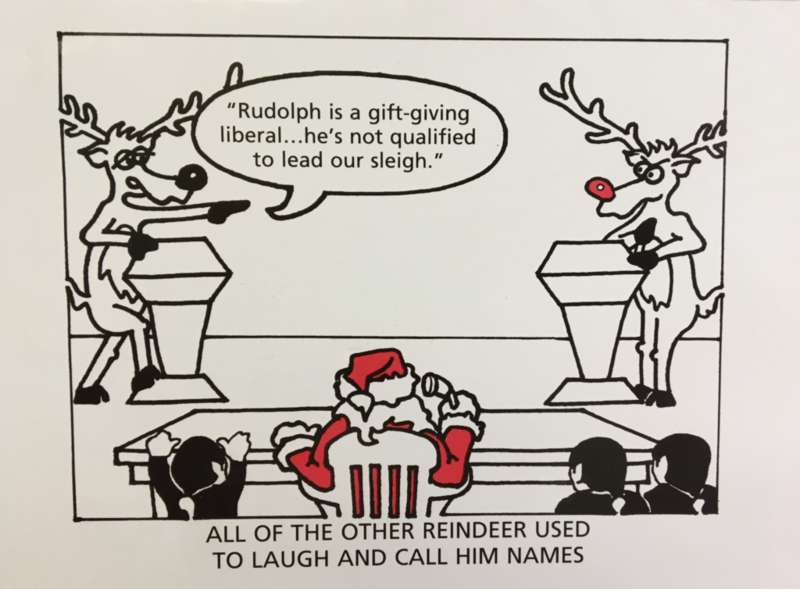 2016 — There are two images.